Wyeth sent me a can of Wyeth’s Progress Pre-School Gold and a Healthway card for mother’s day last week! Thank you Wyeth! Committed to helping mothers raise healthy children, Wyeth’s Progress Pre-School Gold now goes beyond providing superior nutritional products by offering superior medical care as well. Working together with Healthway, the joint project aims to provide families increased access to quality maternal and child healthcare services. 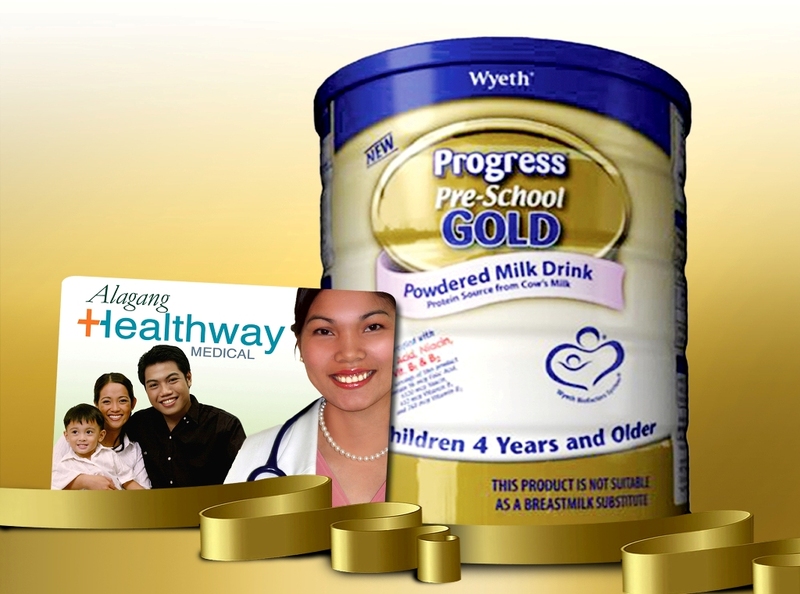 Until July 31, mothers who purchase Progress Pre-School Gold will get FREE Alagang Healthway cards. With these, moms and their kids can visit any Healthway clinic to avail of any of the following services and benefits for free: unlimited consult from family medicine physicians, one free pediatric consult, 15% discount on laboratory, diagnostic, dental services and imaging services (except orthodontics and aesthetic services), and 10% discount on vaccines. To get the card, one must simply present the receipt of purchase of Progress Pre-School Gold at any Healthway clinic. Each card is valid for three months from the date of redemption. The card can be used by the mother as the primary beneficiary and one kid aged four years and above as secondary beneficiary. With good nutrition and premium medical services made more available, mothers can more easily give their children the essential requirements for good health. With Wyeth, the leading provider of quality nutritional products for infants and young children, and Healthway, they bring more than 70 years of health care expertise to Filipino families. How to avail wyeth card?